Judged by health criterial almonds are a supper food. You can't go wrong. But, analyzed from social and ecological criterial the almond boom doesn't look so good. Posted in Water, Economy, Consumer, Chico, Ecology and tagged with Consumer, Chico, Economy, Ecology. September 6, 2014 by Nik Janos. An artillery explodes behind a large deer at the US training facility in Grafenwoerh, Germany. Via NBC News. Animals and plants have way more resilience than we give them. No doubt there is some greenwashing here by the military, but this looks like a fascinating case in which animals adapt to extreme circumstances. Just look at the picture above. The Grafenwoehr installation is now home to more than 3,000 plant and animal species, 800 of which are threatened, endangered or legally protected. These include the rare kingfisher, sea eagles, wildcats, a large beaver population, green woodpeckers and even lynx. Still, biodiversity overall can benefit from the landscapes created by military training, officials say. Tank tracks or grenade craters from war games, for example, have become new breeding grounds and habitats for some endangered species. Posted in Ecology, Environment, Resilience and tagged with Ecology, Resilience. September 2, 2014 by Nik Janos. No doubt there will be pains (all energy and economic transitions experience "pains") but this is poor reporting. Nearly the entire example rests on one case, one guy and his (minor) misfortune. Posted in Consumer, Economy, Media, Technology and tagged with Economy, Technology, Governance, Energy Transition. August 22, 2014 by Nik Janos. Data are still preliminary, but they suggest that both approaches can bring rapid benefits — not just to fish, but also to the habitat on which they depend. Cool stuff and a movement to watch. Posted in Ecology, energy, Environment, Future, Technology and tagged with Ecology, Technology, Energy. 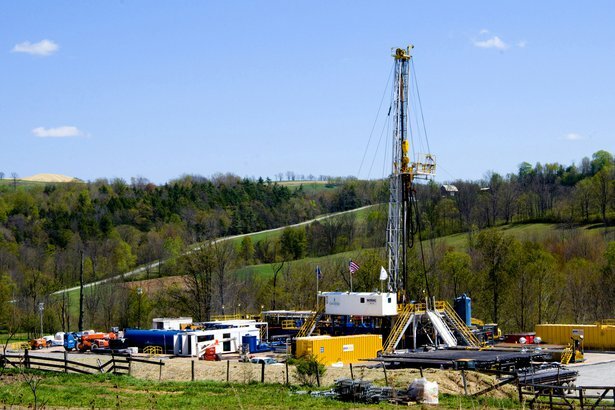 A World Health Organization report found that the fossil fuel economy and industrial civilization is already leading to 1 out of 8 deaths among humans each year (the number would be high for non-humans too). That is an immediate danger, more immediate than what climate change may be contributing to now. In the developing world, the main culprit is burring biomass for cooking and heating, with women being at greater risk than men. In the developed world, the main culprit are fossil fuel automobiles and industrial production. Posted in Crisis, Ecology, Economy, energy, Environment and tagged with Economy, Environment. April 3, 2014 by Nik Janos. Oh, what have we done! It’s a biblical question, and we do not seem able to pull ourselves out of its familiar—essentially religious—cycle of shame, denial, and self-flagellation. This is why (I shall tell my granddaughter) the apocalyptic scenarios did not help—the terrible truth is that we had a profound, historical attraction to apocalypse. In the end, the only thing that could create the necessary traction in our minds was the intimate loss of the things we loved. Posted in Climate Change, Crisis, Ecology, Environment, Future and tagged with Ecology, Climate Change, Future. March 24, 2014 by Nik Janos. Great new article in Nature by Emma Marris that critically examines the focus on charismatic mega-fauna in ecological restoration and wildlife management. A similar story could be told about Pacific Salmon. Though they are not predators, they are considered a key-stone species. Posted in Ecology, Politics and tagged with Ecology, Politics. Fascinating idea: moving from an extraction economy to a tourist economy by creating a gigantic marine sanctuary. Worth following this development. Bonus story: they will be using drones to help enforce the ban. Posted in Economy, Ecology, Politics and tagged with Economy, Ecology, Politics. 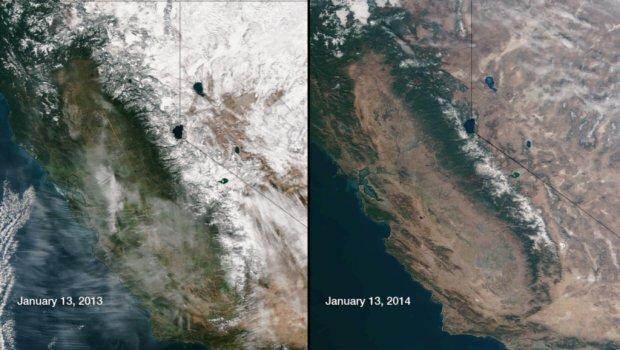 California snowpack January 2013 and January 2014. Image via National Oceanic and Atmospheric Administration. Posted in Climate Change, Ecology, Crisis and tagged with Climate Change, Ecology, Crisis. January 16, 2014 by Nik Janos. The lights from the urban areas really put the size and scale of this fire into perspective. August 27, 2013 by Nik Janos. Ninety-seven percent of scientists support the scientific consensus that human induced climate change is happening, according to a new paper by Cook et al (2013). Sixty-three percent of those polled in the US also support the scientific consensus, which is down 7% last year, and only about 50% of those who support the consensus think humans are causing it, according to Yale School of Forestry. Via Tom Zeller Jr at Huffington Post. Posted in Climate Change and tagged with Climate Change. May 16, 2013 by Nik Janos. Posted in Crisis, Politics, misc, Future and tagged with Crisis. May 13, 2013 by Nik Janos. Why waiting for peak this or that and waiting for doom and gloom is a bad strategy. Capitalists and technologists continuously find ways to circumvent "limits" and "barriers." We need to take on the inequalities and socio-ecological harms the fossil fuel economy creates, rather than wait for the system to implode. They're not waiting. Posted in Economy, Ecology, Environment, Future, Politics and tagged with Economy, Politics, Ecology. Awesome web design and a cool way to perceive the vast distance between the planets. Posted in science and tagged with Science. April 3, 2013 by Nik Janos. Should we bring animals back from extinction? The how to do it is within our grasp. Stewart Brand has a good rundown of the argument, science, and politics involved. I believe that in 100-years time it will seem funny that we even debated this. Still, intentional geo, bio, and eco-engineering frightens, and irks, some as hubris. Posted in Ecology, Future, science, Technology and tagged with Science, Ecology. March 25, 2013 by Nik Janos.